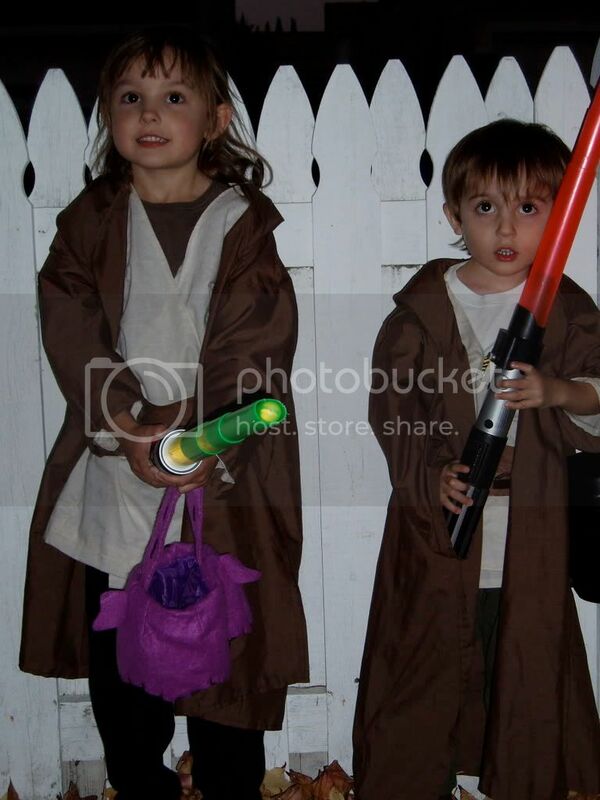 I made their outfits from a robe pattern, and it's sad to say, I'm still sewing with a button hole foot. Lee gave me a great old Bernina a couple of years ago, and it took me almost a year to realize that the foot it came with was a button holer! This is after sewing several skirts, a robe, pj bottoms and Madeline's Dee Dee Doodle costume with it! Can you tell that I'm no great seamstress? You won't be seeing me on Project Runway anytime soon. 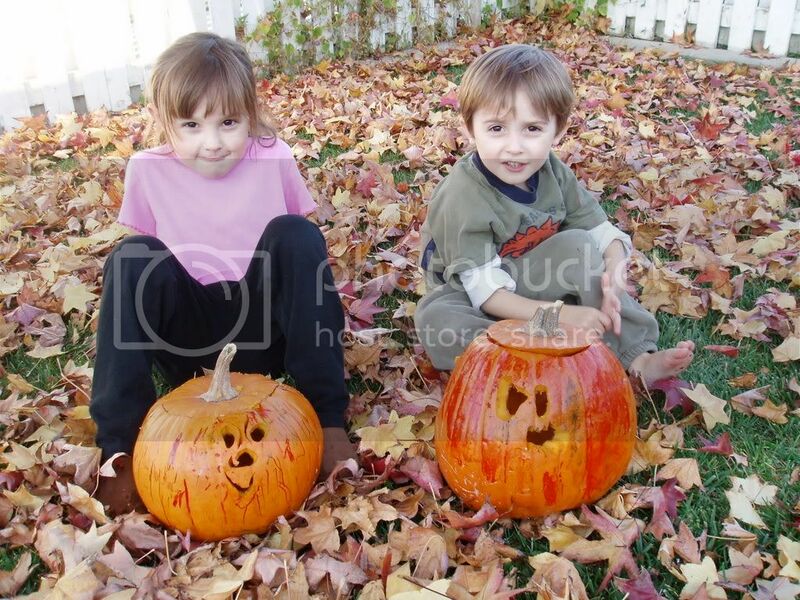 The kids had a great time coloring their pumpkins with markers. So much so, I was surprised that they even wanted me to carve them. 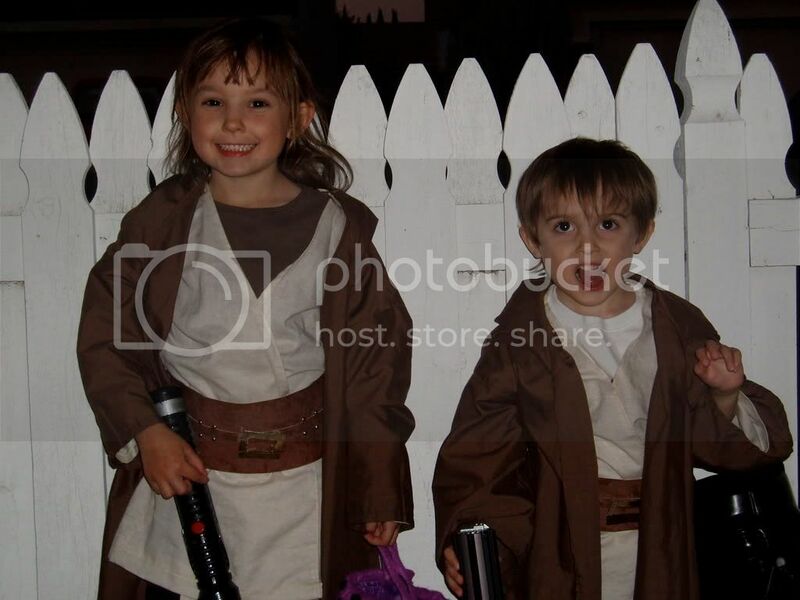 They couldn't wait to get their costumes on and go Trick-or-Treating, and as soon as it was barely dark enough, they were out the door with Matt. They actually spent an hour out, and were thrilled with the booty they brought home. I bribed them into bed by letting them watch The Great Pumpkin on the laptop in Max's room. It was a good night.